You are here: Home \ What is Oral Sedation? 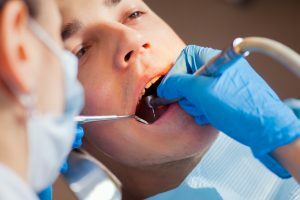 Sedation is not only given to patients who will undergo a surgical operation, oral sedation is now given as a popular component of modern dentistry. Patients who manifest dental anxiety or phobia choose to be sedated for routine dental procedures. Dentists use several forms of sedation to help patients receive the dental treatment they need. One of these is oral sedation. Oral sedation is a type of conscious sedation, where a patient is put in a relaxed state to relieve anxiety while undergoing a dental treatment or procedure. The patient is given a prescription for a pill to take an hour prior to the dental appointment. The patient becomes drowsy, but remains conscious and is able to hear and follow directions from the dentist during the treatment. It is also known as sleep dentistry, as some patients even fall asleep during the treatment. Oral sedation has been practiced for more than a decade and is the most preferred type of sedation by the majority of patients. With oral sedation, the dentist can provide the patient with a safe and comfortable dental experience, particularly those with dental anxiety or fear. Not all dentists can implement sedation. Only those who have been trained to carry it out can prescribe an oral or sublingual drug to the patient. At our Hilliard dental clinic, oral sedation is given to patients so they will feel relaxed and calm during their visit. The dose of can be anywhere from light to moderate. A patient who receives light sedation will feel relaxed, but awake during their appointment. Medium sedation allows you to feel sleepy and reduces motor skills. Dr. James Voyles will determine the kind of drug and dosage that is appropriate for you.